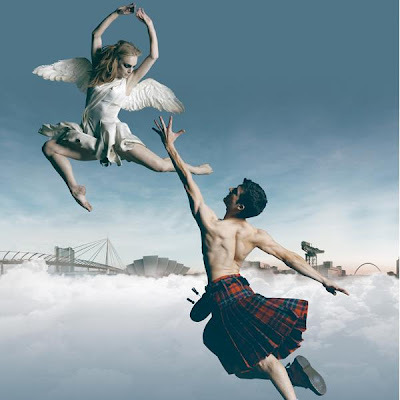 Just a quick post to remind all my lovely Scottish based readers to get along to Michael Bourne and the Scottish Ballet’s Highland Fling if at all possible. I went along last night and it was a truly mesmerising and fun filled evening. I have never really ‘ laughed’ as such at a ballet before but this one was so lively, witty and genuinely funny you could really feel the warmth from the packed out audience. It was so nice to see people at the end really buzzing about the experience! It is such an infectious performance, I haven’t been able to stop thinking about it today- there were so many well observed and communicated moments, that it made for a magical experience. It is so ‘Scottish’ without being just stereotypical or twee ( even with all the tartan!). It was a piece that made me really wish I could get pretty much everyone I know along , as I just know how much they would all enjoy it, male and female, through all the generations. A massive well done to everyone involved in creating this production,it really was a ‘romantic wee ballet’ and I felt honoured to get to see it. Pal, just wanted to say thanks so much for the offer of flat buying advice, I MAY well take you up on that m'love!